Midseason premiere dates have been set for new seasons of Fox’s Gotham, The Orville, Gordon Ramsay’s 24 Hours to Hell and Back, and Cosmos. Shows set to make their debut at the midseason point include The Masked Singer, a new celebrity singing competition, and The Passage. The legal drama Proven Innocent is also joining Fox’s primetime lineup. 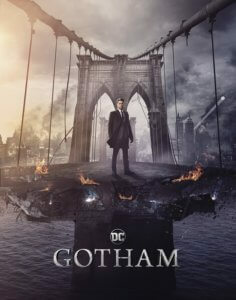 Gotham‘s return on January 3, 2019 at 8pm marks the beginning of the end of the series. The series’ fifth season will consist of 12 episodes and will end with a time jump that focuses on Bruce Wayne’s ultimate transformation into Batman. The Orville season two debuts on December 30, 2018, moving to the time slot following Gotham on January 3rd. Gordon Ramsay’s 24 Hours to Hell and Back season two premieres on January 2, 2019 at 8pm ET/PT. The competition series The Masked Singer also arrives on January 2nd and features a judging panel that consists of Jenny McCarthy, Nicole Scherzinger, Ken Jeong, and Robin Thicke. The thriller The Passage starring Mark-Paul Gosselaar and Henry Ian Cusick will kick off its first season on January 14th. Proven Innocent arrives on February 15th, and the new Cosmos installment, Cosmos: Possible Worlds, premieres on March 3rd. The Orville: Set 400 years in the future, the series follows The U.S.S. Orville, a mid-level exploratory spaceship, and its crew, both human and alien, who face the wonders and dangers of outer space, while also dealing with the problems of everyday life. In Season Two, ED (MacFarlane) and KELLY’s (Adrianne Palicki) relationship will take a new turn, while the ship’s crew will meet never-before-seen aliens, face old adversaries the Krill, make first contact with a new civilization and revisit the planet Moclus. Gordon Ramsay’s 24 Hours to Hell and Back: The hit restaurant makeover series features Ramsay driving to struggling restaurants across the country in his state-of-the-art mobile kitchen and command center, Hell On Wheels, to bring failing restaurants back from the brink of disaster – all in just 24 hours. In today’s social media-driven world, everyone is an amateur food critic, and restaurants often find themselves one bad review away from shutting their doors. So, it’s Chef Ramsay to the rescue. As the clock ticks down, Ramsay and his team transform these restaurants with spectacular renovations, fresh new menus and hope for the future, all building to the end of the 24 hours, when grand re-openings of these restaurants are held for the public. The Masked Singer: Hosted by Nick Cannon, with panelists Jenny McCarthy, Nicole Scherzinger, Ken Jeong and Robin Thicke, this top-secret celebrity singing competition will have everyone asking, “who’s behind the mask? !” Based on an international format, and already a viral phenomenon with over half a billion fans worldwide, the series features celebrities facing off against one another with one major twist: each singer is shrouded from head to toe in an elaborate costume, complete with full face mask to conceal his or her identity. With each performance, the host, panelists, audience, viewers and even the other contestants are left guessing who is singing behind the mask. Gotham: Gotham wraps up the beloved series in a farewell event that will focus on Bruce Wayne’s (David Mazouz) ultimate transformation into the Caped Crusader, as Jim Gordon (Ben McKenzie) tries to hold together a city on the edge of chaos‎. FOX also has ordered two additional episodes of the hit series, raising the season order to 12 episodes, and bringing the full series order to 100 episodes. Following the events of last season, the fifth season, titled “Gotham: Legend of the Dark Knight,” will pick up with Gotham City split amongst Gordon and the GCPD, and some of the most notorious fan-favorite villains, as the heroes try to gain control and salvage what’s left of the deteriorating city. This season will also introduce new villains, including the iconic Bane (guest star Shane West). The Passage: Based on author Justin Cronin’s best-selling trilogy of the same name, The Passage is an expansive, character-driven thriller written by Liz Heldens. Executive-produced by Heldens, Emmy Award winner and Academy Award and Golden Globe nominee Ridley Scott and writer/director Matt Reeves, The Passage focuses on Project Noah, a secret medical facility where scientists are experimenting with a dangerous virus that could lead to the cure for all disease, but also carries the potential to wipe out the human race. 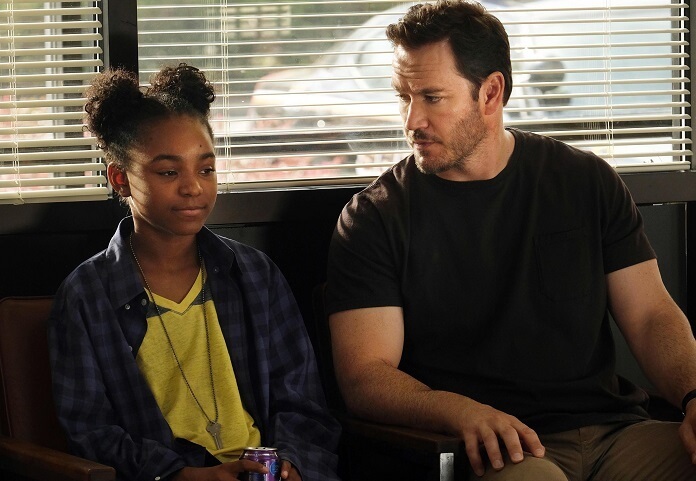 When a young girl (Saniyya Sidney) is chosen to be a test subject, a federal agent (Mark-Paul Gosselaar) is tasked with bringing her in, but ultimately, becomes her surrogate father, determined to protect her at any cost – even as Project Noah’s work threatens to unleash an unimaginable apocalypse. Proven Innocent: Emmy and Golden Globe Award winner and Empire co-creator Danny Strong partners with David Elliot to tell the emotional story of one woman’s fight for the innocence of others, as well as her own. Proven Innocent follows an underdog criminal defense firm led by a fierce and uncompromising lawyer, who was wrongfully convicted in a sensational murder case that made her an infamous media obsession, a household name and a national cause célèbre. The drama stars Rachelle Lefevre, Kelsey Grammer, Russell Hornsby, Vincent Kartheiser, Nikki M. James, Riley Smith, and Clare O’Connor. Cosmos: Continuing the legacy of its predecessors, Cosmos: Possible Worlds will translate the revelations of science into a lavishly transporting experience, taking audiences on a series of spiritual voyages of exploration. The new season will reveal previously uncharted realms, including lost worlds and worlds to come, and those that we may one day inhabit in a thrilling future we can still have.